Between learning and unlearning, some writing on climate reality, solid waste management, composting, urban organic farming, etc. Not all gardeners have the ability to grow with the seeds they sow. Bengaluru-based Hariram Pagadala Sreenath is one of those rarest few. His terrace, fitted with 140 pots where a variety of plants take root and grow fruits and vegetables, is a microcosm of the universe where all verdant pleasures conspire and bring personal fulfillment. 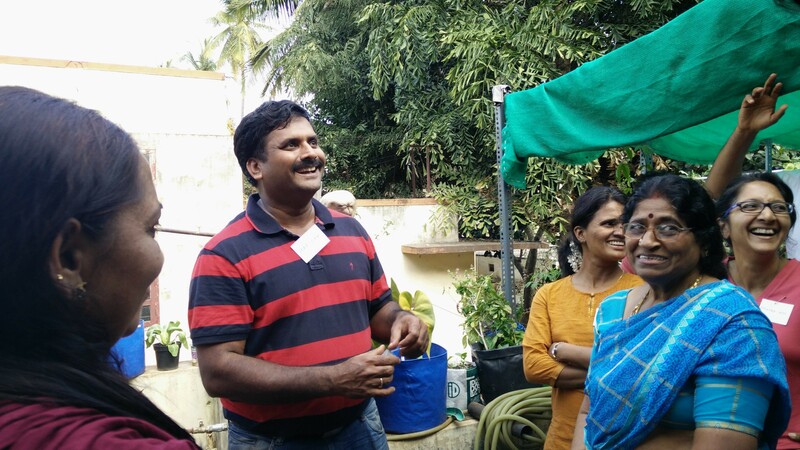 I was at a workshop organised by ‘We Care for Malleswaram’ in Malleswaram last Sunday where training sessions in waste segregation, recycling and composting ran at full throttle and came a full circle with Hariram’s in organic gardening. Hariram’s session comprising important aspects of gardening like the sun, the soil, the seasons, the seeds, the plants, the sowing chart, the harvesting, the friendly and unfriendly ‘pests’—interspersed with hands-on training in sowing and transplanting—invited the participants to take a stroll through his rich experience and savour the joys of it, albeit vicariously. Interestingly, Hariram didn’t like gardening as a boy even though his grandmother kept goading him into sowing and planting. Somehow, digging his hands into the deep warm earth didn’t do wonders instantly. He didn’t feel the soil’s raw throb of existence at his fingertips, nor could he foresee the harvesting seasons. Something was missing. Some connect. Fortunately, like some seeds that take longer to germinate, the true pleasures of gardening started sinking in him slowly as he began harvesting the bounties that grew out of his labour. “Start small. I started off with only 4-5 pots and now I have 140 of them,” he said. And in these pots placed on the terrace of his home located at Dairy Circle, his creative freedom transgresses all man-made boundaries willfully—especially the myths about lack of time and space in an urban context. 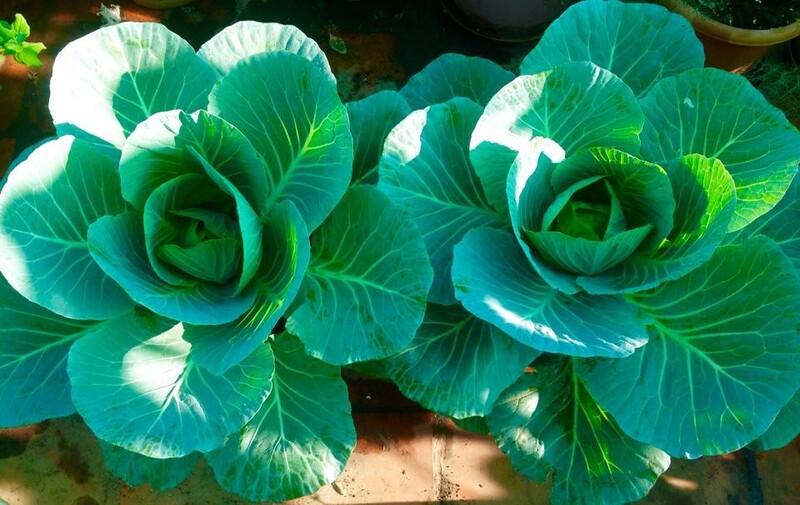 Through his patience, watchfulness and perseverance, he has accumulated an enviable repertoire of knowledge on how to grow a majority of vegetables and greens that his family needs on a daily basis (and a lot more). In other words, success is a given to those who refuse to give up. Nothing worth having comes easily! At the same time, this subverts the long-perpetrated myth about “green fingers” handed down to generations. After all, “green fingers are the extension of a verdant heart”. That’s probably what Hariram was lacking as a little boy. But once he put his heart into it, intuitive understanding wormed its way through and began gnawing at his sinews. In his view, if you are ready to make time, space and walk the green miles, you will eventually succeed and yet, keep failing. You will realise very soon that learning and failing is a never-ending season in your garden. “Always remember that plants came much before we did,” Hariram stated this more than once. For him, gardening is a series of pleasures and transformations often punctuated by failures which remind you of the importance of cultivating a crucial quality: humility. It is perhaps as important to the gardener as are rain and sunshine to the garden. As he spoke on how to deal with each type of bug using neem oil and some simple organic home-made preparations, it seemed as if he welcomed each one of them into his garden, carried out a conversation and studied it in-depth and then linked this learning to the larger picture of how life establishes its interconnectedness between all living beings, no matter how small or ‘ugly’ they are. A glimpse of Hariram’s terrace garden. This streak of generosity doesn’t limit itself to butterflies alone. Hariram’s session was loaded with humorous anecdotes on how he and his son Prabhav, already a budding urban farmer, go about distributing fresh veggies to their neighbours. I am sure there wasn’t one participant who wouldn’t have chosen him as his/her neighbour, if they had the slightest of a chance. The same goes with seed sharing too. Initially, it’s all about buying, collecting, possessing and even “showing off” your seed collection. 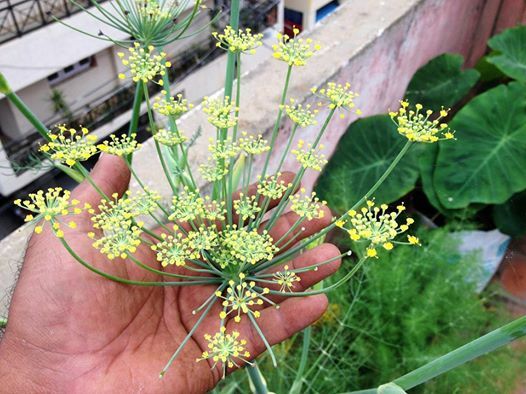 When your garden begins to flourish, you have too many seeds and too little space. That’s when generosity begins to cultivate itself around you. Hariram has now set out to share the seeds of knowledge harvested over the years. His green journey couldn’t have taken a better turn. I am not sure if there is any other act of defiance that matches the sheer power of sowing an heirloom seed. With it you defy the whole world—its market monopolies, its outright rankness, its vanity, its hubris and its reckless march towards genetic modifications. You are out to set up your own Utopian enterprise with a few seeds in hand. You move around this universe fraught with uncertainties with confidence because of the faith you have in the seed and the unlimited possibilities it offers. You grow food not just for yourself but protect the seed’s right to sprout, its purpose to feed life on Earth and allow it to flourish endlessly. You emerge beyond the boundaries of small-mindedness of this world and its cacophony. You stay resilient and keep sowing and growing along with it. Most important of all, you challenge its brash stupidity that sees the price of everything and the value of nothing. Hariram does so by enlarging the very meaning of food security. For him, to garden is to philosophise. To turn prose into poetry. To register for this workshop, please write to cleangreenworkshops@gmail.com. 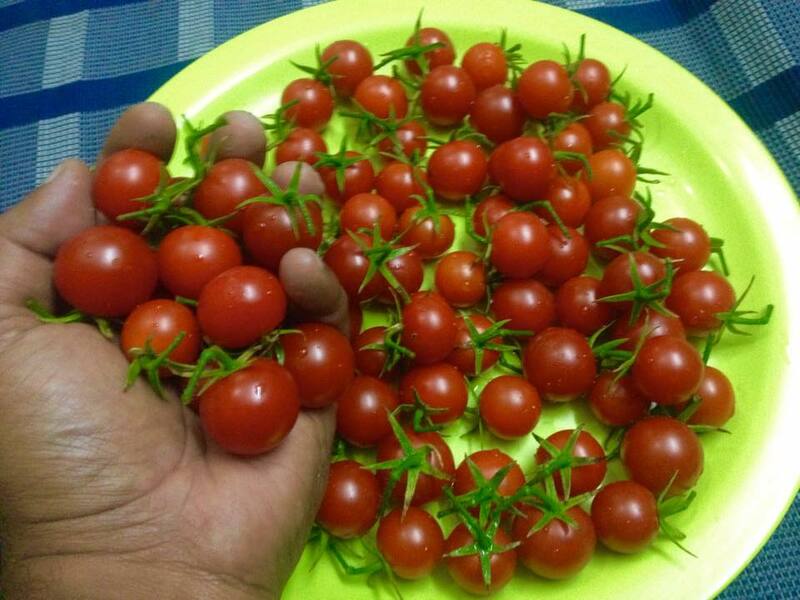 Photo credit: Hariram P S.
This entry was posted in Close Encounters, Endlessly Green and tagged 'We care for Malleswaram', green fingers, Hariram Pagadala Sreenath, organid terrace gardening. Bookmark the permalink. 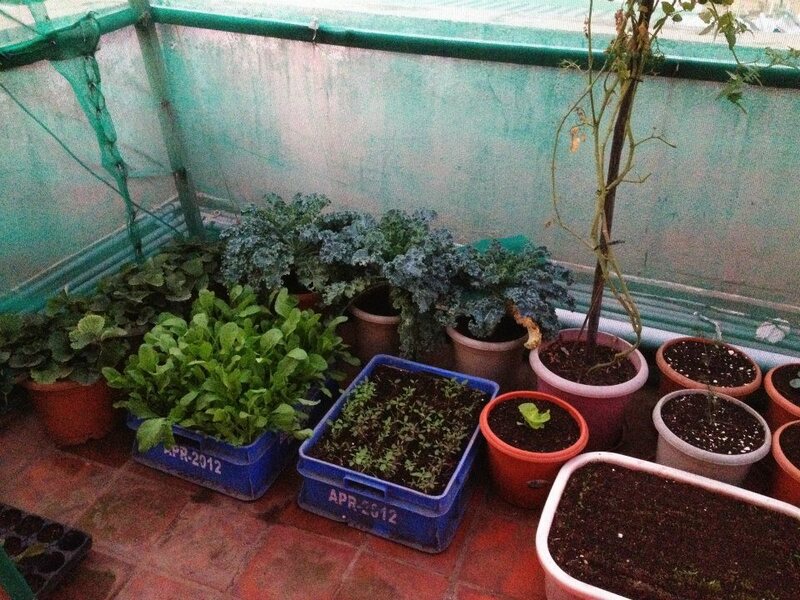 Very much inspiring… We would like to hear from you more on roof gardening….. Most apartments in Bengaluru are penny-wise & pound-foolish. Here’s why.